VATICAN CITY (CNS) — Through God’s word, Christians can taste the sweetness of his love like honey and also feel the sharp sting of a sword that purifies them from sin, Pope Francis said. “The double edge of this ‘sword’ may at first wound, but it proves beneficial, for it cuts away everything that distances us from God and his love,” the pope said Oct. 31 to members of the American Bible Society. “I pray that, through the Bible, you will taste and feel deep within yourselves the Lord’s tender love and his healing presence, which searches us and knows us,” he said. Founded in 1816, the American Bible Society translates, publishes and distributes the Bible around the world. 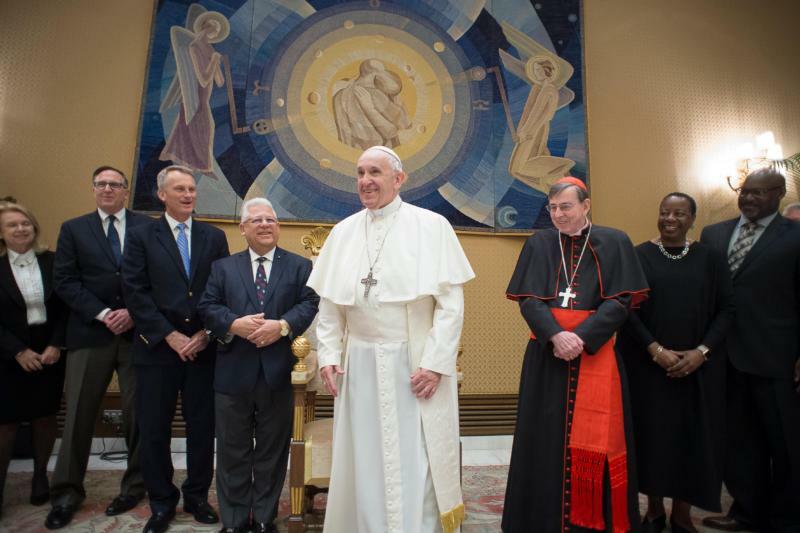 Members of the delegation meeting with Pope Francis were in Rome for the society’s annual retreat. Scripture removes every form of “falsehood and duplicity” while often breaking “through our own plans and preconceptions,” Pope Francis said.